Fine sediment deposition from Clark Canyon Creek has affected fisheries in the Beaverhead River during years when peak flow releases from Clark Canyon Dam are insufficient to transport the sediment from this tributary. The fine sediment settles in the Beaverhead River, affecting the trout fishery downstream from the dam. 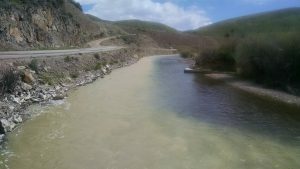 The Bureau of Reclamation conducted a study resulting in an annual program of short-duration, high-flow releases from Clark Canyon Dam to flush fine sediments from the stream bed and improve habitat conditions for trout.